U6, U8, U10 and U12 divisions practice and play in downtown Ottawa along the riverfront at the Old Central School area. U14 practices and plays at Peck Park on the South side of Ottawa. 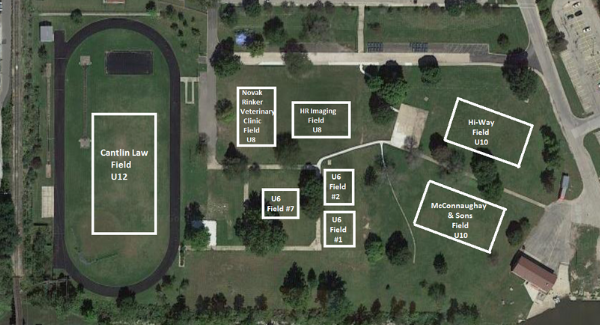 The following map provides the location of each soccer field for U6, U8, U10 and U12 divisions.